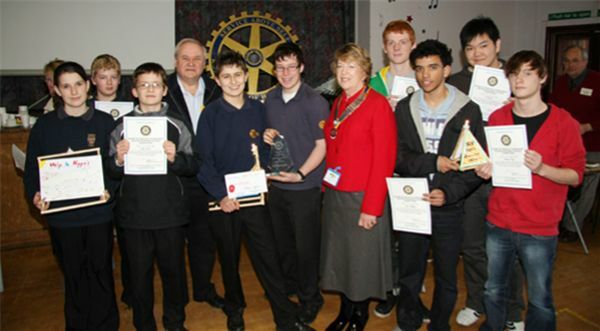 Steven Lane (14) and Olly Hancox (15) - two Year 10 students from Abbey College, Ramsey - have won the inaugural Rotary Technology Tournament. Teams from Abbey College, St Peter's, St Neots Community, Huntingdon Regional College and Longsands took part in tasks at three different levels: Basic, Intermediate and Advanced. The winners in each category were: Basic Task: Longsands, Intermediate Task: Abbey College, Advanced Task, St Neots Community College with the team from Abbey College being judged as the overall winners. 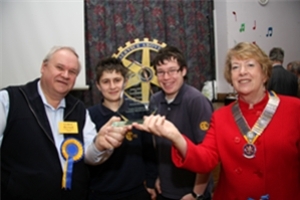 June Green, President of the Rotary Club of Ramsey, presented the prizes which included a beautiful glass trophy, kindly donated by Graham Heywood - Managing Director of Computer Miracle Ltd - for the overall winners. The winning teams in each category won £25 for their school. 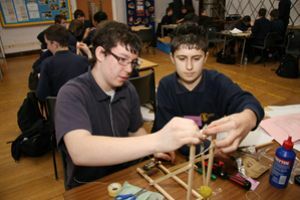 The teams were given very simple materials such as tin foil, balsa wood, elastic bands and plasticine in order to design and build a beacon with a flashing light on top. The beacon also had to incorporate a small billboard advertising their favourite charity. The beacon had to flash a minimum number of times, depending on the level of difficulty; for example, the advanced task teams had to ensure that the light flashed regularly at exactly 1 second intervals in order to successfully complete the task. They were assessed and awarded points for completing the task successfully as well as for their planning & teamwork, their design analysis, development and documentation, and their construction skills. June Green said: "There was a fantastic atmosphere in the hall with everyone actively involved in achieving a successful result for their team. It was great to see young people collaborating together and developing new skills. This is the first time that such a competition has been organised by the Rotary in this area but judging from its success I feel sure that there will another in the future. My thanks go to all the volunteers from Huntingdon Rotary Club who arranged the whole event and the Specialist Technology College staff from Abbey College which hosted the day." 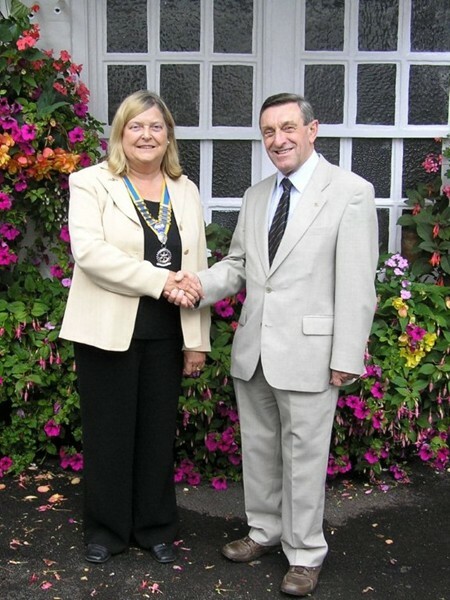 Outgoing president Geoff Burniston handing over office and chain to incoming president Ann Looker. 8 July - Inducement of new member! 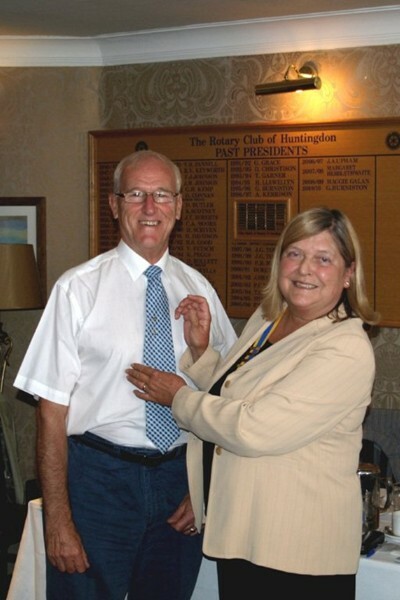 President Ann Looker welcoming new member Ken Warmsley to the club.